If you can't get out and explore SLO county, do the next best thing....surf SLO county. 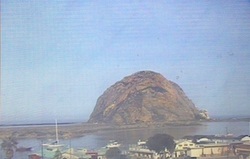 Here we have links to the best webcams we've found from around San Luis Obispo county. Click on a thumbnail to be taken to the webcam's site, in a separate window. If you know of, or have a webcam you feel we have missed, simply contact us with the address, and we'll get it added right away. Control this webcam located at the base of the Avila Beach pier. If the cam above is busy, Mr. Ricks is only a few feet away. 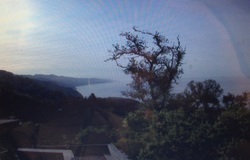 This is also a cam you can take control of, so take some time to look around! The view from the sun-deck at Napenthe. This is a static cam, so you will need to refresh your page to advance the frame. 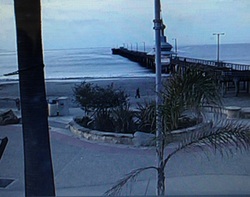 A live view of the Cayucos pier. You can't control this cam, but it's perfectly trained on the surf. We have 3 different views of Nacimiento to choose from (or what's left of it). 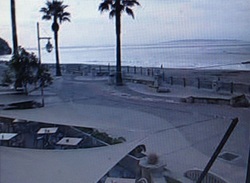 The webcam on top of The Sandcastle Inn, which has extremely good resolution and frame rate.